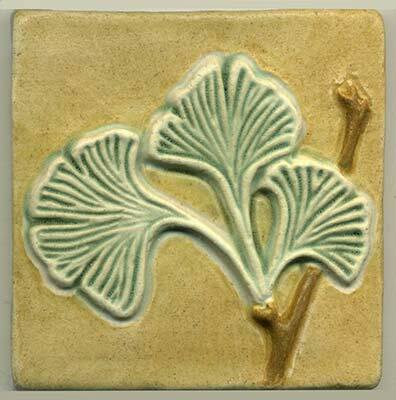 The gingko leaf design is a 4" tile with the leaves sculpted in high relief. 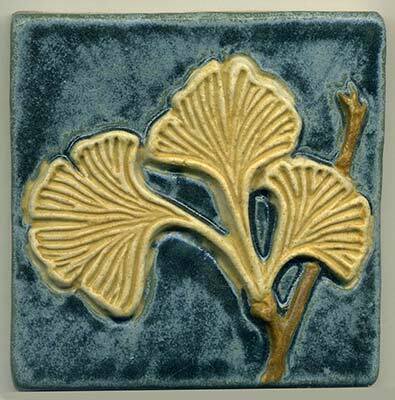 It is available in any single color or in multiple colors. 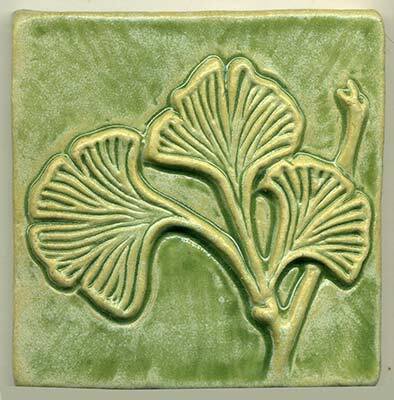 Colors shown: stormy blue background with pharsalia leaves; pharsalia background with hunter green leaves; spring green overall.